We make sure there are lots of opportunities for ongoing learning and development, making sure you get the most out of your time with us. Our volunteers say volunteering with us is varied, hugely rewarding and often challenging, and you will be part of an enthusiastic, supportive team. We cover your travel costs incurred when attending. We are committed to recruiting volunteers from a wide range of backgrounds and ages, and we want everyone to be able to work in an environment which is fair and inclusive, supportive and welcoming. Our staff and volunteers are encouraged to respect each other’s individuality and value each other’s contributions. The industry recognised training will help develop your communication, IT skills and build self-confidence as you move into hands on experience. We are always happy to hear from people interested in volunteering with us. 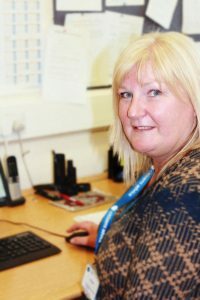 If you would like to have an informal chat about any of the roles, email or give us a call and Samantha will contact you. If you would like to make an application you can download the application form and post it or scan and email it to us. We will contact you to arrange for you to come into the office and meet us.